The New Stack is about the way app development and management at scale affect the way we live and work. The cultural impact of these technologies, such as organs-on-chips, provide a different glimpse into the core technologies we explore on a daily basis. Usually we run these stories on the weekends. Our goal is to write more stories like these and run them throughout the week. We are looking for contributions. Please contact us if interested at tns@thenewstack.io. Biomedical research and pharmaceutical drug development is currently a long and expensive process, with few guarantees for success. Could these microchips emulating human organs be an alternative? Biomedical testing today hinges on tools like cell cultures isolated in petri dishes, and animal testing, both of which cannot accurately model the dynamic environment of the human body. Even drugs that succeed with animal testing often go on to fail in human clinical trials, wasting millions of dollars and years of research. But scientists and engineers at Harvard University’s multidisciplinary Wyss Institute are aiming to change the glacial, hit-and-miss nature of biomedical testing with a chip designed to more accurately model human organs — reducing costs, better predicting drug reactions and eliminating the need for animal testing. Merging microfabrication techniques with modern tissue engineering, the Wyss Institute’s organ-on-a-chip bio-mimic the mechanical and bio-chemical behaviors of organs like the lungs, heart, kidney, liver and intestines. 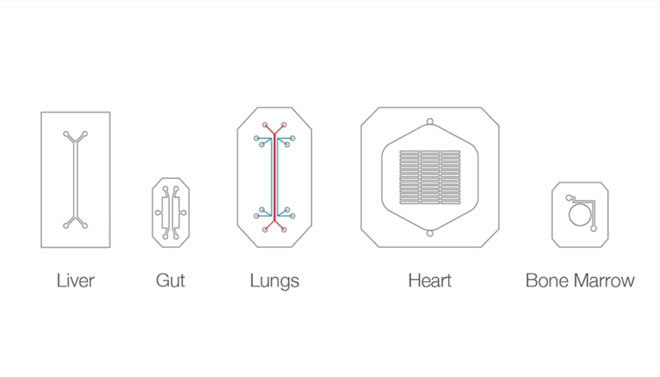 These pseudo-organs are created using multi-layer photolithography, a method of fabrication borrowed from computer chip makers. The process creates microscopic, hollow chambers, channels and valves that can be sculpted inside bonded layers of transparent polymers, through which fluids like blood can be pumped through. In addition, these “micro-fluidic” devices have porous membranes that can be lined with various human organ cells. A crucial part of the design of human organs–on–chips is their ability to mechanically mirror the dynamic physical microenvironment found in living organs. Including flowing fluids and tissue distortion similar to that seen during breathing and peristalsis, which enables them to replicate whole-organ functions. Surprisingly, despite majoring in molecular biophysics and biochemistry back in the 1970s, Ingber’s inspiration behind these micro-organs serendipitously came from his experiences in an undergraduate sculpture class at Yale, where the students were making rigid, three-dimensional sculptures illustrating the concept of tensegrity (tensional integrity or floating compression). Through the mental lens of a scientist, Ingber realized that cells had their own bio-mechanical tensegrity that allowed them to interact with and to be shaped by their environments. Ingber integrated these dynamic structural concepts into the cell research projects he was conducting at the time, and an eventual collaboration with Harvard chemist George Whitesides — who was experimenting with computer chips at the time — led to their research groups laying the groundwork for developing these revolutionary devices. A Whole Human Body on a Chip? Now, Ingber and his colleagues are hoping to develop ways to link up these various organs-on-chips to replicate how a whole human body works — a human-on-a-chip, if you will. “The goal is really to do the whole human body, and then we can fluidically link multiple chips to capture interactions between different organs and eventually recreate a body on a chip,” says Wyss senior lead scientist and bio-researcher Geraldine Hamilton. Wyss scientists are also collaborating with manufacturing companies to create easy-to-use interfaces and instruments for these chip sets to create a “plug-and-play” environment for experiments and clinical trials, which will make biomedical research and testing easier and more comprehensive. 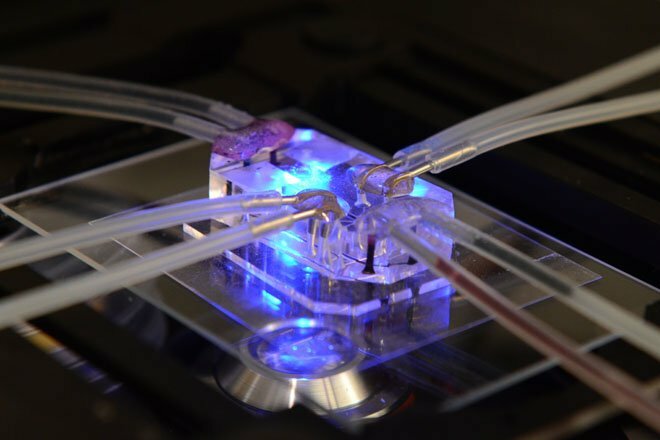 Besides speeding up the biomedical research and development cycle, organs-on-chips could also herald a new era of “personalized” medicine, where an individual’s stem cells could be used on chips to predict how they might react to a certain drug, prior to administration. There is a reduction in risk, and a potential increase in drug efficacy and the possibility of having pharmaceutical drugs tailored for the individual, in the form of 3D printed drugs. Cosmetics could be tested more easily, and specialized treatments for infections and inherited diseases across different demographic populations could be discovered sooner. 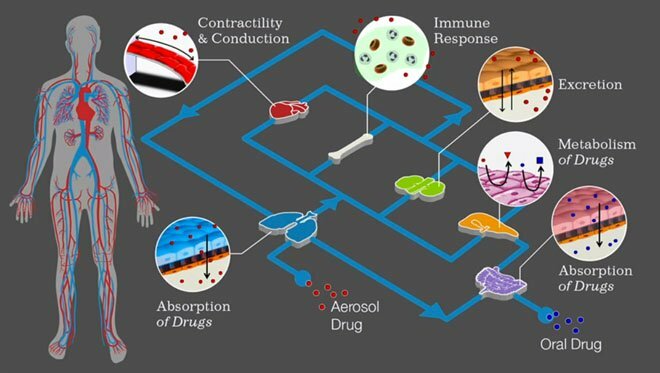 But it’s not just about developing drugs; several government institutions, including the Defense Advanced Research Projects Agency (DARPA) and the US Food and Drug Administration (FDA), are funding organs-on-chips. Understandably, there are great implications for national security and health using these devices to find protection against biological weapons, global epidemics or testing for product safety. 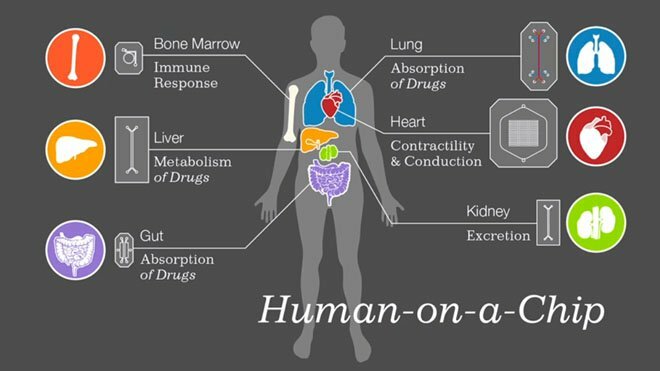 The plan is to commercialize these innovative organs-on-chips through the biotech start-up Emulate, hopefully by 2016. 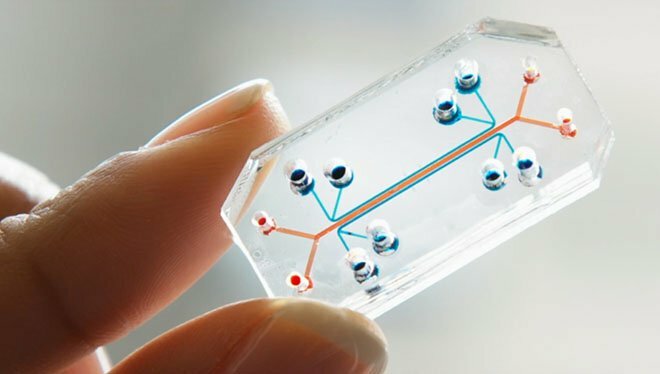 There’s no doubt that the current limitations of cell cultures and animal testing do call for better alternatives, but considering the tremendous complexity of the human body as a dynamic whole, it will still take some time and more development before these biomimetic organs-on-chips will adequately recreate a living body. 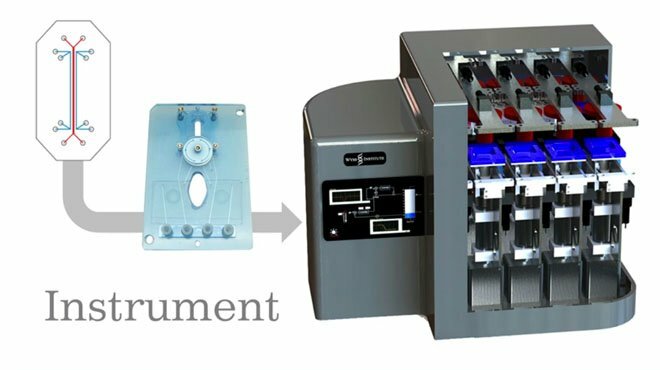 Nevertheless, the initial results look promising, and we’re eager to see if these small, unassuming devices will change the face of biological research as we know it. For more information, visit the Wyss Institute and Emulate.